For various reasons, the data quantity transmitted worldwide is growing exponentially and the need for ever-greater bandwidths continues unabated. 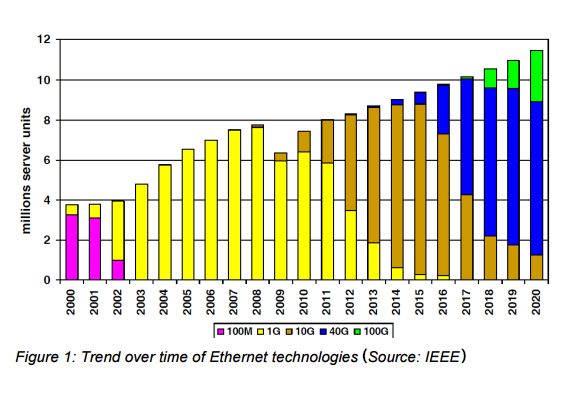 Though the current data volumes demanded in backbone cabling can still be handled with 10 GbE, the forecast trends will require the introduction of the next technologies, 40 GbE and 100 GbE (Figure 1). Therefore, data centers must respond early to provide sufficient capacities and plan for upcoming requirements. To meet this demand, 40G QSFP+ transceivers, MTP/MPO cables and other related products are springing up like mushrooms in the market. They are important roles in the ultra-high density cabling in data centers. This post will focus on MTP/MPO cables in the data center. Why MTP/MPO Cables Are Used? For the reasons mentioned above, the number of network connections in data centers is on the rise rapidly. And the use of traditional fiber cables may make the data center crowed and difficult to be managed. To solve this problem, data centers have to achieve ultra-high density in cabling to accommodate all this cabling in the first place. The MTP/MPO cables, which bring together 12 or 24 fibers in a single interface (Figure 2), have been proven to be a practical solution. Incorporating to meet the 40GBASE-SR4 and 100GBASE-SR10 standard, The MTP/MPO multi-fiber connector of MTP/MPO cables is about the same size as a SC connector but can accommodate 12 or 24 fibers. Thus, MTP/MPO cables provide up to 12 or 24 times the density and offer savings in circuit card and rack space. 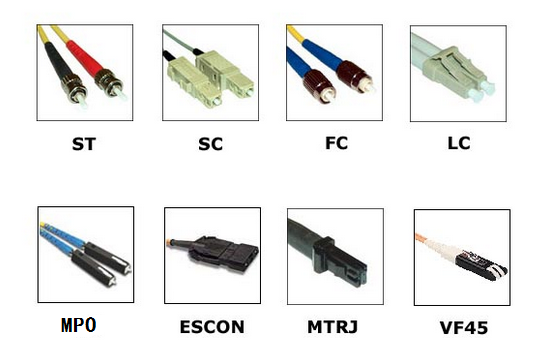 MTP/MPO cables are composed of MTP/MPO connectors and fiber cables, other connectors such as LC may also be found in some kinds of MTP/MPO cables. And the fiber cables used are generally OM3 and OM4, which are laser optimized multi-mode optical fibers. Unlike traditional connectors, the MTP/MPO connector should be carefully used to ensure proper connections are made. Thus, it is important to have an overall understanding of MTP/MPO connectors. As is shown in the following figure, each MTP/MPO connector has a key on one side of the connector body, and the key sitting on top referred to as the key up position. In this orientation, each of the fiber holes in the connector is numbered in sequence from left to right. People often refer to these connector holes as positions, or P1, P2, etc. In addition, there is a white dot on the connector body to designate the P1 side of the connector when it is plug in. There are two types of MTP/MPO adapters based on the placement of the key: key up to key down and key up to key up. When you want to connect two MTP/MPO connectors, it is important to choose a right adapter with keying designed to hold the two facing ends of the MTPs incorrect alignment. The following figure shows the right connections of two MTP/MPO connectors within the adapter. MTP/MPO trunk cable and MTP/MPO harness cable are two common kinds of MTP/MPO cables. MTP/MPO trunk cables serve as a permanent link connecting the MTP/MPO modules to each other. And they can offer flexibility in changing the connector style in the patch panels. 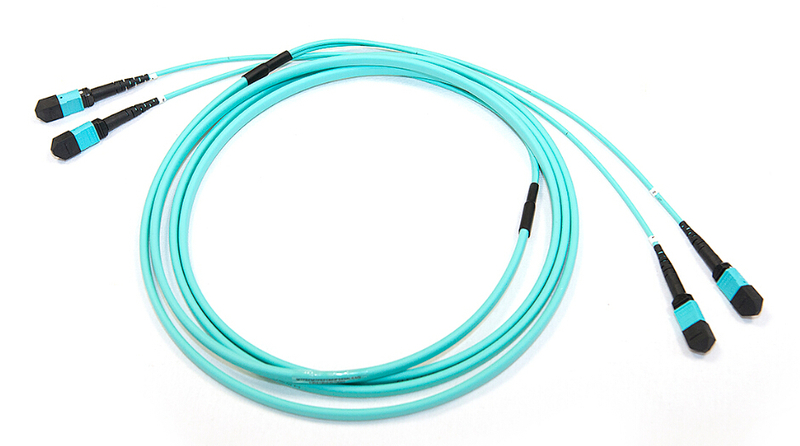 MTP/MPO harness cables provide a transition from multi-fiber cables to individual fibers or duplex connectors. These cables are offered for various applications for all networking and device needs like 100G modules including CFP, CFP2 and CFP4 series. There is no way around the migration to 40 and 100 GbE. As the figure shows above, 40 and 100 GbE will be broadly introduced in the near future. Therefore, Data center managers will have to lay the groundwork today and adapt their infrastructure to meet future requirements. MTP/MPO cables are inevitable the ideal solution to meet these needs. Fiberstore is now striving to be a leading supplier of MTP/MPO connection components. We manufacture and distribute a wide range of MTP/MPO connection components including the MTP/MPO connectors, adapters, cables, cassettes, adapter panels, loopback modules, etc. The above shows that the MPO/MTP system is a good solution for data center requirements. This high density, scalable system is designed to enable thousands of connections. 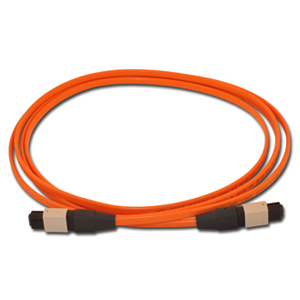 Fiberstore offers a wide range of MPO/MTP trunk cables, harness cables and cassettes (or patch panels). 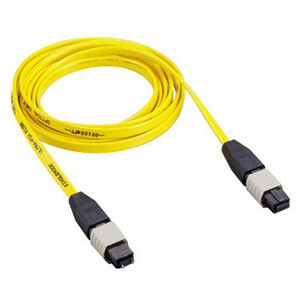 A fiber patch cable, also known as fiber patch cord, which is widely applied to connect telecommunication equipment and backbone cabling, is a length of fiber optic cable capped at either end with connectors that allow it to be rapidly and conveniently connected to CATV, an optical switch or other telecommunication equipment. 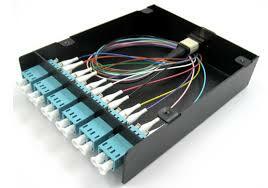 As the fiber patch cables are used to cross-connect installed cables and connect communications equipment. 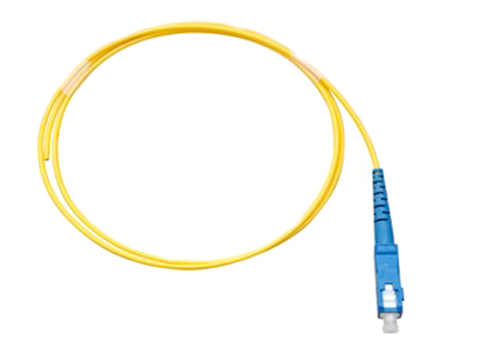 The choice of fiber patch cable is very important to the performance of the network. 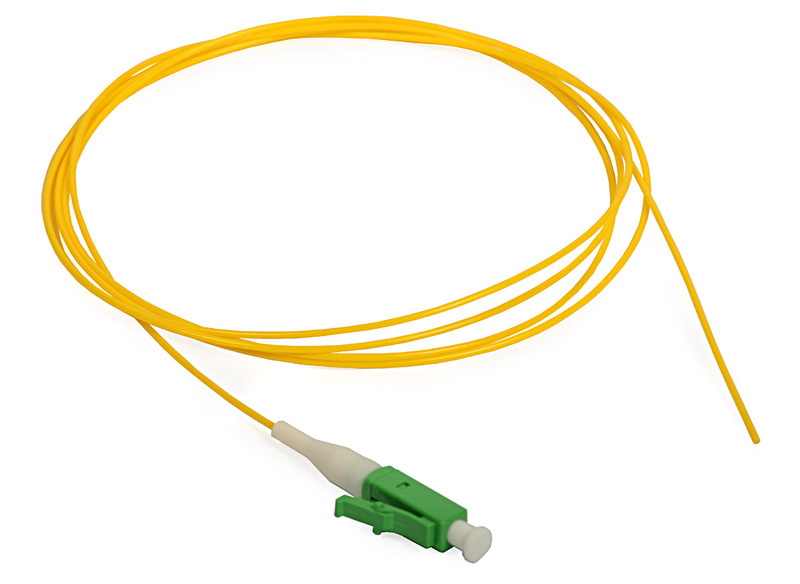 Currently vendors offer fiber optic patch cables in a variety of cable and connector types. In order to select the right patch cable, some attributes needed to be obtained. They are fiber type, connector type on each end, simplex or duplex, jacket type and length. Fiberstore offers you the following tips to choose the proper fiber patch cable for your applications. 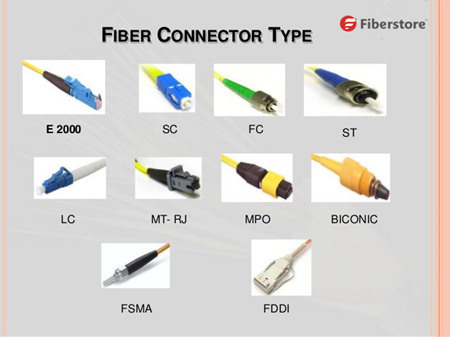 Choose the right fiber type—fiber patch cable should use the same fiber type as the fiber optic cabling that it is connected to. Fiber optic cable comes in two general types which are single-mode and multi-mode fiber. Choose the correct connector type—the connectors on both end of fiber patch cable are used to connect to the patch panels and equipment. Connector types of the patch cable must match the patch panels and equipment. They can be the same and can also be different. For example, a fiber patch cable with a ST connector on each end is known as ST to ST patch cable. A fiber patch cable with a LC connector on one end and a ST connector on the other end is known as LC to ST patch cable. 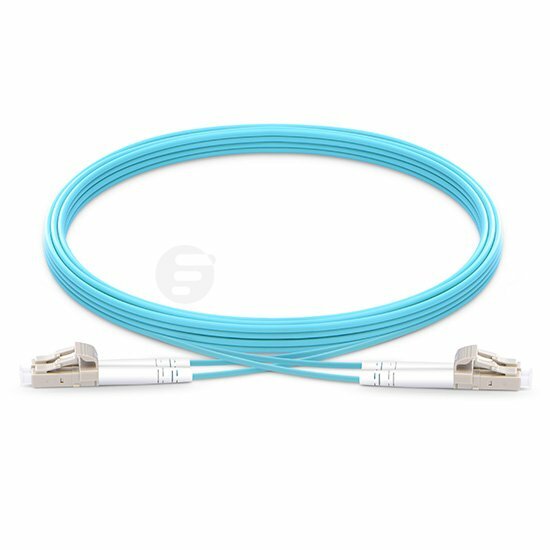 Simplex or duplex—unlike copper patch cable which sends information in both directions, most fiber patch cord cables have a single strand of fiber allowing for signal flow in one direction only. 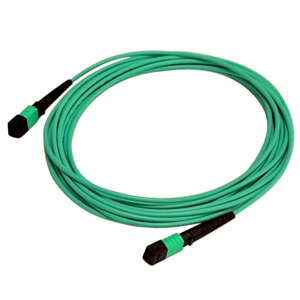 A simplex patch cord is a single-fiber cable with simplex connection terminations. A duplex patch cord is a two-fiber cable with duplex connectors. Connecting equipment so that it can send and receive information requires two strands of fiber (one to transmit and one to receive information). This can be accommodated by using two “Simplex” (single strand of fiber) cables for each equipment interconnection or a “Duplex” cable, with conductors and/or connectors bonded together in pairs. Jacket of fiber patch cable—flammability of the jacket material could become an issue if the area they are in has special requirements for flame spread or products of combustion in case of a fire. 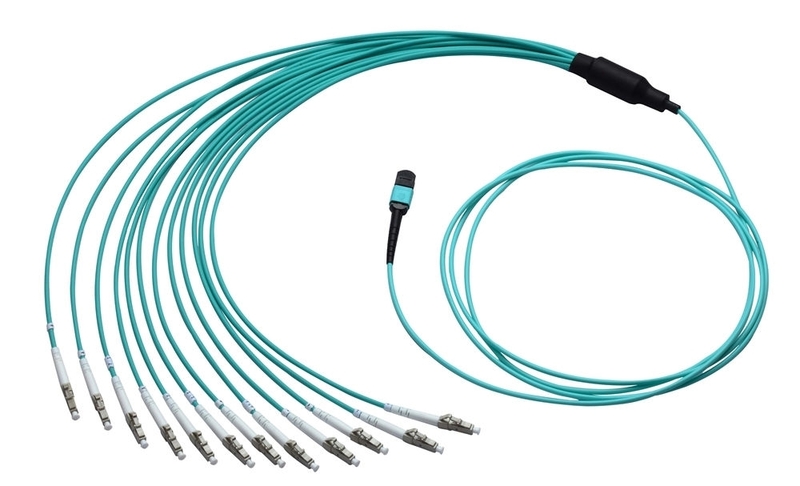 To answer the market call, there are LSZH (low smoke zero halogen) fiber patch cable whose jacket is made of materials free of halogenated materials like fluorine (F), Chlorine (Cl), Bromine (Br), Iodine (I) and Astatine (At). This type of fiber patch cord won’t release low smoke zero halogen when it’s on fire. Length—overall length of the patch cable may be specified in feet or meters, depending on your preference. Fiberstore provides various types of fiber optic patch cables including single-mode, multi-mode, multi-core, armored patch cables, as well as fiber optic pigtails and other special patch cables. For most of the patch cables, the SC, ST, FC, LC, MU, MTRJ, E2000 connectors (APC/UPC polish) are all available. In addition, we also have MTP/MPO cables in stock. To satisfied high-density cabling requirement in data center, data center managers are more likely to choose network components characterized by saving space. MPO/MTP components are now widely used around the world. They not only allow for more fiber ports per unit of rack space, but also satisfies the need of parallel optical interconnections for multi-fiber connection. This article is going to introduce 12 fibers MPO/MTP fiber optic cable, which is popular in high-density cabling. Before we come to 12 fibers MPO/MTP fiber optic cable, let’s have a brief overview of 12 fibers MPO/MTP connector. In theory, the 12 fibers MPO/MTP connector can deliver 6x10G transmit fibers and 6x10G receive fibers. However, it actually only delivers 40G since the transceivers and the equipment are only capable of supporting 40G data rates. 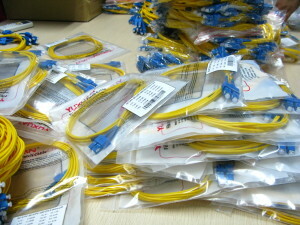 That means 33% fibers of the connector are not being used, only 8 fibers are being used at the transceiver while the other 4 fibers are just spares. From the figure below, you can have a better understanding of this. Accommodating 12 fibers, the 12 fiber MPO/MTP connector provides up to 12 times the density, thereby it can save space in the rack. It is the first connector which has enough repeatable performance to be accepted in data centers. MTP is the high dense degree of optical fiber pre-connect system,which is generally use in three areas: the data center application with high dense degree environment; the optical fiber to the building and the internal connector application in fiber equipment. 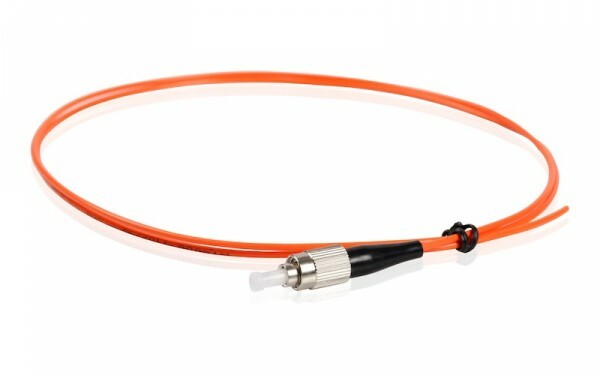 Terminated with MPO connectors, Fiberstore’s MPO/MTP fiber optic cable is compliant to IEC-61754-7 and TIA-604-5(FOCIS-5) standard. 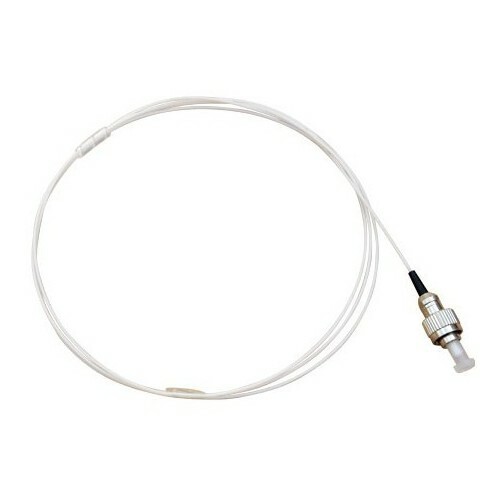 It utilizes factory finished MPO plugs, low smoke zero halogen (LSHZ) jacket and push-on/pull-off latching connector. In addition, each MPO connector is polished according the polished end-face quality specification standard. It can provide easy connection and disconnection. MPO/MTP fiber optic cable is commonly applied in local area networks, data centers, campus networks and storage area networks. After knowing about MPO/MTP fiber optic cable in general, the following part will introduce three types of 12 fibers MPO/MTP fiber optic cables to you. The two connectors on each end of the cable is Female MPO connector which has no pins and Male MPO connector which has pins. You can have a better understand of this structure from the figure below. The MPO connector standard accords to IEC 61754-7 series. The fiber type is OS2 9/125μm and fiber polish is UPC. Fiber rating is LSZH. The color of the cable is yellow. The two connectors on each end of the cable is Female MPO connector which has no pins and Male MPO connector which has pins. You can have a better understand of this structure from the figure below. The MPO connector standard accords to IEC 61754-7 series. The fiber type is Multimode OM2 50/125μm and fiber polish is UPC. Fiber rating is LSZH. The color of the cable is orange. The two connectors on each end of the cable is Female MPO connector which has no pins and Male MPO connector which has pins. You can have a better understand of this structure from the figure below. 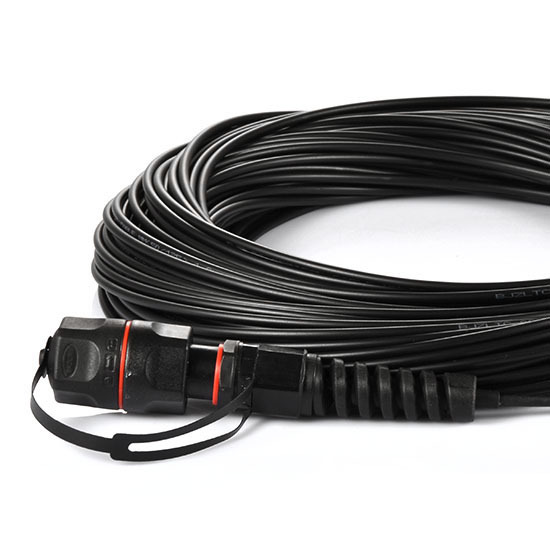 The MPO connector standard accords to IEC 61754-7 series. The fiber type is Multimode 10G OM3 and fiber polish is UPC. Fiber rating is LSZH. The color of the cable is aqua. MPO/MTP multi-fiber system is designed for the reliable and quick operations in data centers, where the obvious benefits are less space requirements and improved scalability, which providing significant space and cost savings. Fiberstore provides various types of MPO/MTP fiber optic cables and other MTP components. If you want to know more details, you can visit our site.